In the Fifties network executives had been convinced that American television viewers were not interested in comedies about rural life. They were proved wrong when The Real McCoys debuted in 1957. The show turned out to be a hit and paved the way for all rural comedies to come. It was in 1960 that The Andy Griffith Show debuted. It was the top rated new show of the 1960-1961 season and never ranked below #7 in the yearly Nielsen ratings for its entire run. While the success of The Real McCoys proved viewers would watch rural comedies, the success of The Andy Griffith Show kicked off an entire cycle towards rural comedies that would last throughout the Sixties. As big as The Andy Griffith Show was, its success was dwarfed by The Beverly Hillbillies. It became the fastest rising show in the ratings ever, becoming the #1 show in the yearly Nielsen ratings in its very first season. 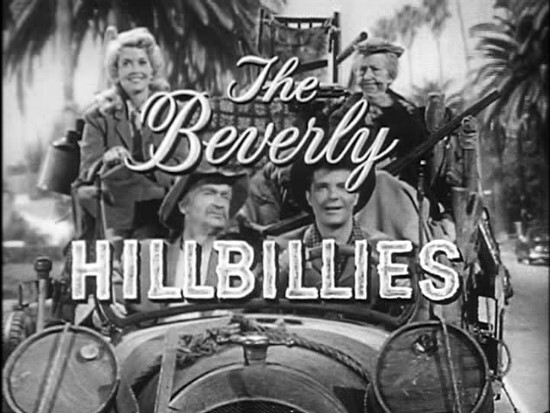 In its second season, in the weeks following the assassination of President John F. Kennedy, ratings for The Beverly Hillbillies grew to such proportions that eight of its episodes still number among the most watched programmes of all time and one episode ("The Giant Jack Rabbit") remains the most watched half hour episode of any television show ever. 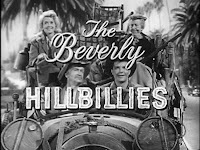 Such success did not go ignored, so that CBS asked the creator and producer of The Beverly Hillbillies Paul Henning to create another show, which they would purchase without even having to see a pilot. That show would be Petticoat Junction. The idea for Petticoat Junction came from stories Paul Henning's wife Ruth had told him about the Burris Hotel owned by her grandparents, located near the railroad station in Eldon, Missouri that she would visit when she was a child. At the same time that it occurred to Paul Henning that he could base the show on the hotel that Mrs. Henning's grandparents had owned, he also knew he wanted to create a vehicle for Bea Benaderet. Paul Henning had worked with Miss Benaderet all the way back to their days in radio. She had played the Burns' neighbour Blanche Morton on both the radio version and the television version of The George Burns and Gracie Allen Show. In addition to her long running role on The George Burns and Gracie Allen Show, Bea Benaderet had a long resume of several other roles. On both radio and on television she played switchboard operator Gertrude on The Jack Benny Programme. She also did a large amount of voice work in animated cartoons. She did a number of voices for Warner Brothers cartoons, most notably Granny in the "Sylvester and Tweety" shorts. On television she was the voice of Betty Rubble on The Flintstones. In addition to The Burns and Allen Show, Bea Benaderet had also worked with Paul Henning on The Beverly Hillbillies on which she played Cousin Pearl. Mr. Henning admired Miss Benaderet, but noted that she had spent her long career playing second bananas in sitcoms. He thought it was time she had her own show. Petticoat Junction was one of two rural sitcoms that debuted during the 1963-1964 season, and it debuted on 24 September 1963. The show was set at the Shady Rest Hotel, located along the railroad tracks just outside of the small town of Hooterville (whose population was given as 48 at one point). The Shady Rest was owned and operated by widow Kate Bradley (played by Bea Benaderet), who had three beautiful, young daughters: blonde Billie Jo, brunette Bobbie Jo, and redhead Betty Jo (played throughout the show's run by Linda Kaye, Paul and Ruth Henning's daughter). Kate's Uncle Joe Carson (played by Edgar Buchanan) helped with the day to day running with the hotel, although given his laziness he helped as little as he possibly could. Located near the Shady Rest and also along the railroad was the general store run by Sam Drucker (played by Frank Cady). The steam locomotive that ran along the railroad, the Hooterville Cannonball, was run by its engineer Charley Pratt (Smiley Burnette) and conductor, Floyd Smoot (Rufe Davis), who almost never worried about keeping it on time. It was not unusual for the Hooterville Cannonball to make unscheduled stops to pick up passengers along the way. Kate's daughters would often go swimming in the Cannonball's water tower, draping their petticoats over its sides (hence the name of the show, "Petticoat Junction"). While the casts of Paul Henning's other shows (The Beverly Hillbillies and Green Acres) were relatively stable, Petticoat Junction underwent a number of cast changes throughout its run. In fact, it actually underwent a cast change before it even began shooting. It was originally announced that Sharon Tate would play the role of Billie Jo and promotional photos with her in the role were even shot. The part would be recast before Miss Tate even stepped in front of a film camera, however, after head of Filmways Martin Ransohoff met her and decided she was destined for greater things than a television sitcom. The role of Billie Jo then went to Jeannine Riley, who stayed with the role for two seasons before she decided she wanted to move on with her career. Gunilla Hutton (who would go on to appear on Hee Haw for years) then played Billie Jo for a single season. Finally, Meredith McRae was cast in the role of Billie Jo. She remained with the show until the end of its run. The role of brunette sister Bobbie Jo would also be played by multiple actresses. Pat Woodell played Bobbie Jo for the show's first two seasons before she decided she wanted to pursue her singing career. For the rest of the show's run Bobbie Jo was played by Lori Saunders. 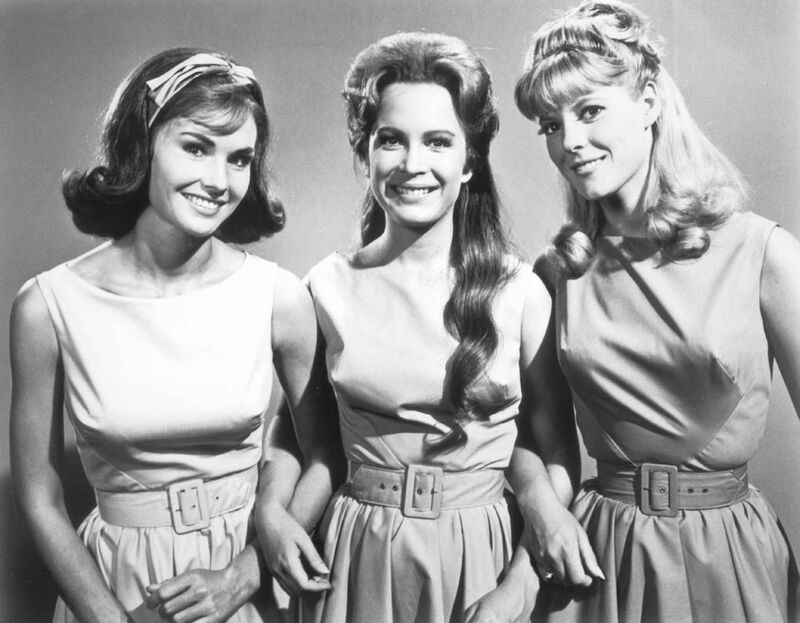 Sadly, Petticoat Junction would have more cast changes than the actresses playing Kate's daughters. In 1967 Smiley Burnette, who played engineer Charley Pratt, died of leukaemia. Afterwards Floyd (played by Rufe Davis) acted as both conductor and engineer for the Cannonball until 1968 when he was replaced by Byron Foulger who played the Cannonball's new engineer Wendell Gibbs (Mr. Foulger had previously played the recurring role of Mr. Guerney on the show in 1965). Byron Foulger eventually became too ill to continue with the show, at which point Rufe Davis returned as Floyd Smoot for two episodes in the show's final season. Byron Foulger died on 4 April 1970, the day the last original episode of Petticoat Junction aired. Out of all of its cast changes the show's biggest loss would be that of its star, Bea Benaderet. It was in 1967 that Miss Benaderet was diagnosed with lung cancer. She left the show for a time, with Rosemary DeCamp filling the maternal role of "Aunt Helen" in seven episodes. Bea Benaderet returned to Petticoat Junction for a brief period before her declining health forced her to leave the show permanently. She died on 13 October 1968 at the age of 62. After Miss Benaderet's death June Lockhart joined the show in the role of Dr. Janet Craig, a physician who decided to set up her practice in Hooterville and lived at the Shady Rest. Miss Lockhart remained with the show until the end of its run. A major addition to the cast was Mike Minor as pilot Steve Elliot. Steve was a crop duster who crashed near the Shady Rest. Initially a love interest for Billie Jo, he later shifted his attention to Betty Jo. The two later married and hand a daughter, Kathy Jo. Petticoat Junction was set in the same reality as The Beverly Hillbillies and Green Acres (which would debut in the 1965-1966 season). In fact, the first reference to "Hooterville" actually occurred on The Beverly Hillbillies, in the sixth episode of the show, "Trick or Treat". Not only did characters from Petticoat Junction frequently appear on Green Acres and vice versa (in fact, Frank Cady as Sam Drucker was a regular on both shows), but in the 1968-1969 there would be crossovers with The Beverly Hillbillies in episodes of that show in which the Clampetts went to Hooterville. Afterwards Frank Cady would make a few guest appearances as Sam Drucker on The Beverly Hillbillies. There would be one last crossover episode between the shows, ""The Clampett-Hewes Empire", that aired in the 1970-1971 season. While Petticoat Junction was set in the same reality as The Beverly Hillbillies, it was in many ways a very different show. While The Beverly Hillbillies operated as an absurdist farce, Petticoat Junction was a more traditional situation comedy. While its humour tended to be extremely broad in its early seasons, episodes of the show tended to centre on the personal crises of characters in much the same way that more traditional sitcoms did. Although Petticoat Junction never entirely lost its broad humour, following the marriage of Betty Jo and Steve it became much more of a domestic comedy, with many episodes centring on the couple. Petticoat Junction proved to be a hit in its first season, ranking #3 in the Neilsens for the year. The show would never see this level of success again, although it remained in the top twenty shows for the next two seasons in the yearly ratings and in the top twenty five for its fourth season. Unfortunately, events would come together that would ultimately spell the show's end. A move from Tuesday night (where it had been since its debut) to Saturday night in its fifth season, as well as Bea Benaderet's illness and subsequent death would take its toll on the series. In its fifth season Petticoat Junction dropped to #30 in the yearly ratings. In its sixth season Petticoat Junction dropped to #35 in the yearly ratings. With the show apparently in decline, CBS considered cancelling Petticoat Junction towards the end of the 1968-1969 season. Ultimately the network decided to renew the show for one more season so that they would have five years worth of colour episodes available for syndication (the first two seasons had been in black and white). While Petticoat Junction's ratings improved slightly in its seventh season (it rose to #34 in the yearly ratings), CBS cancelled the show at the end of the 1969-1970. Here it should be pointed out that while Petticoat Junction is often listed among the shows cancelled in the Rural Purge, this was not actually the case. CBS had considered cancelling the show in the 1968-1969 season, perhaps in the belief that it would never recover from the death of its star Bea Benaderet. It was renewed only to give the network more colour episodes of the show for syndication. And while it improved slightly in the ratings, that improvement was probably not enough for CBS to be convinced that the show would ever fully recover. Petticoat Junction was not the first rural show to debut in the 1963-1964 season. That honour would go to The Farmer's Daughter, which debuted four days earlier than Petticoat Junction, on 20 September 1963 on ABC. The Farmer's Daughter was based on RKO's 1947 film of the same name starring Loretta Young. The series was produced by Peter Kortner, a veteran of both Studio One and Playhouse 90, for Screen Gems. In some respects The Farmer's Daughter was faithful to the film upon which it was based. Katrin "Katy" Holstrum (played by Swedish born Inger Stevens), the product of a Swedish American farming family from Minnesota, went to work as the housekeeper for Congressman Glen Morley (played by William Windom). Congressman Morley lived with his mother Agatha Morley (played by Cathleen Nesbitt). 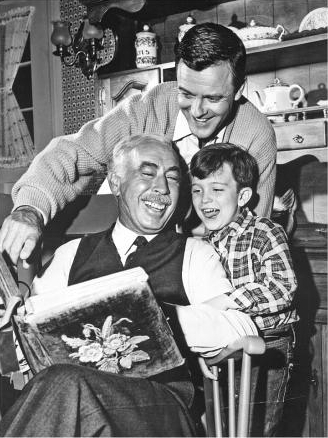 The series departed from the film in making Congressman Morley a widower with two young sons, 14 year old Steve (played Mickey Sholdar) and 8 year old Danny (played by Rory O'Brien). Much of the show centred on the conflict between Katy's down to earth, rural common sense and Washington, big city culture. 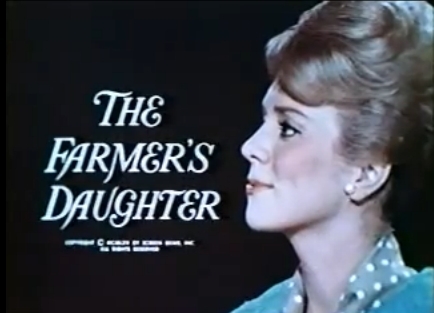 While The Farmer's Daughter was not a smash hit in its first season, it did receive respectable ratings. The show also picked up a few Emmy nominations in its first season, being nominated for Outstanding Continued Performance by an Actress in a Series (Lead), Outstanding Directorial Achievement in Comedy, and Outstanding Writing Achievement in Comedy or Variety. Inger Stevens won a Golden Globe for Best TV Star - Female. Despite remaining reasonably popular in its second season, The Farmer's Daughter saw its format change in its third season. In the last episode of the second season Katy and Congressman Morely became engaged. They were married during the third season in the 5 November 1965 episode. Unfortunately ratings for the show slipped in its third season. Part of it may have been the change in the show's format, part of it may have been a move from Friday night (where it had aired since it had debuted) to a Monday night time slot. Regardless, The Farmer's Daughter would not see a fourth season. The 1964-1965 season would see the cycle towards rural comedies continue, with three new rural comedies debut. The cycle towards service comedies that had begun in the 1962-1963 season also continued, so that two of the new rural comedies also happened to be service comedies. This was the case with the first rural comedy to debut in the 1964-1965 season, No Time For Sergeants. According to its closing credits No Time for Sergeants was "from the play by Ira Levin, presented by Maurice Evans, based on the novel by Mac Hyman". 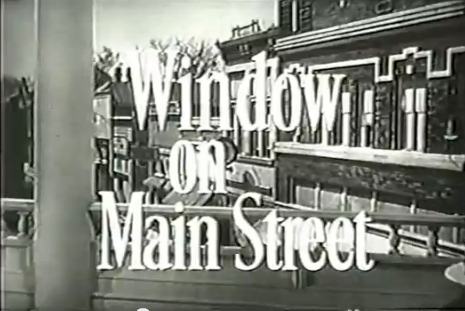 This was a fancy way the new TV show had of acknowledging the original novel by Mac Hyman, which Ira Levin adapted as a teleplay for The United States Steel Hour, which Ira Levin expanded into a Broadway play produced by Maurice Evans (the famous Shakespearean actor who would go onto play Samantha Stephens' father Maurice on Bewitched). Of course, the TV show also owed a bit to the 1958 film adaptation directed by Mervyn LeRoy with a screenplay by John Lee Mahin. The feature film No Time for Sergeants had been produced by Warner Brothers, so it should come as no surprise that the television version was produced by Warner Brothers Television. Best known for Westerns such as Cheyenne and Maverick, as well as detective series such as 77 Sunset Strip, Warner Brothers Television had expanded into producing sitcoms in 1962 with Room For One More (based on the 1952 Warner Brothers feature film of the same name). No Time for Sergeants starred Sammy Jackson as Will Stockdale (the role originated by Andy Griffith in the teleplay, Broadway play, and feature film), a country rube from Georgia who is drafted into the United States Air Force. Harry Hilcox played the often exasperated commanding officer Sgt. Orville King (played in the film by Myron McCormick). Kevin O'Neal played Will's best friend and fellow airman Ben Whitledge (played in the film by Nick Adams). No Time for Sergeants debuted on ABC on 14 September 1964. It had the misfortune of being scheduled opposite the series starring the man who had originated the role of Will Stockdale, The Andy Griffith Show. Against such competition the show had little hope of survival. 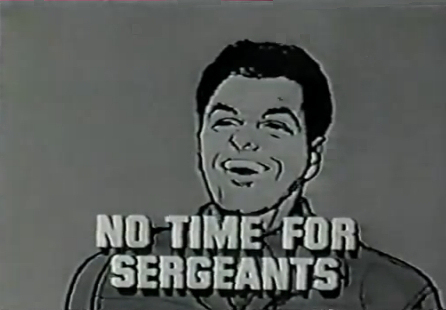 The television version of No Time for Sergeants went off the air after one season and 34 episodes. The second rural comedy to debut during the 1964-1965 season was the comedy drama Kentucky Jones, which premiered on NBC on 19 September 1964. Kentucky Jones had originally been created by Albert Beich and William H. Wright as a vehicle for Jack Carson. A pilot under the title Kentucky Kid had even been shot in 1962 starring Jack Carson in the role Kentucky Jones. Unfortunately, in 1962 Mr. Carson was diagnosed with stomach cancer, from which he later died on 2 January 1963. A new pilot with Dennis Weaver as Kentucky Jones was made in 1963, and it was this pilot that was bought by NBC. Kentucky Jones was Mr. Weaver's first role since leaving Gunsmoke in the 1963-1964 season. Kentucky Jones centred on Kenneth Yarborough "K.Y." Jones (nicknamed "Kentucky" because of his initials), a widowed veterinarian, horse trainer, and owner of a 40 acre ranch in Southern California. He was the guardian of a 10 year old Chinese orphan named Dwight Eisenhower "Ike" Wong (played by Ricky Der). Helping out on Dr. Jones' ranch was former jockey Seldom Jackson, played by Harry Morgan (who had starred on both December Bride and Pete and Gladys, and would go onto star on M*A*S*H). Another one of Kentucky's friends was Thomas Wong, played by Keye Luke. Nancy Rennick appeared as social worker Miss Throncroft, who occasionally checks on Ike. Cherylene Lee played Annie Ng, Ike's friend, and Arthur Wong played her father. Kentucky Jones had the misfortune of being scheduled against one of the new hit shows of the season, Gilligan's Island, on CBS. Its ratings were then not particularly good. 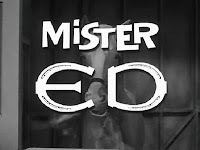 Originally scheduled at 8:30 PM Eastern on Saturday, NBC moved it to 7 PM Eastern on Saturday on 2 January 1965 (essentially switching places with The Famous Adventures of Mr. Magoo, which had originally been at 7 PM Saturday). The change in time slot did not help, and Kentucky Jones was cancelled after 26 episodes. It went off the air on 10 April 1965. While No Time for Sergeants and Kentucky Jones were both failures in the ratings, the third rural comedy to debut in the 1964-1965 season proved to be the highest rated new show of the season. Gomer Pyle U.S.M.C. was a spinoff of the popular Andy Griffith Show. It also owed a good deal to Andy Griffith's first big success, No Time for Sergeants. On Gomer Pyle U.S.M.C. inept filling station attendant Gomer Pyle (played by Jim Nabors) had enlisted in the United States Marine Corps, where both his good nature and his naivete often created problems. Gomer Pyle was created by writers Everett Greenbaum and Jim Fritzell for The Andy Griffith Show episode "The Bank Job", which aired on 24 December 1962. The character was based on an incompetent filling station attendant Mr. Greenbaum had once encountered. Jim Nabors was cast in the role of Gomer Pyle after Andy Griffith had seen his show at The Horn, a nightclub in Santa Monica, California. Gomer Pyle was only meant to appear once on The Andy Griffith Show, but the character proved popular and as a result he became one of the regulars. It was Aaron Ruben, producer and one of the writers on The Andy Griffith Show, who came up with the idea of Gomer being spun off into his own show, in which he would be a Marine. The pilot for Gomer Pyle U.S.M.C. 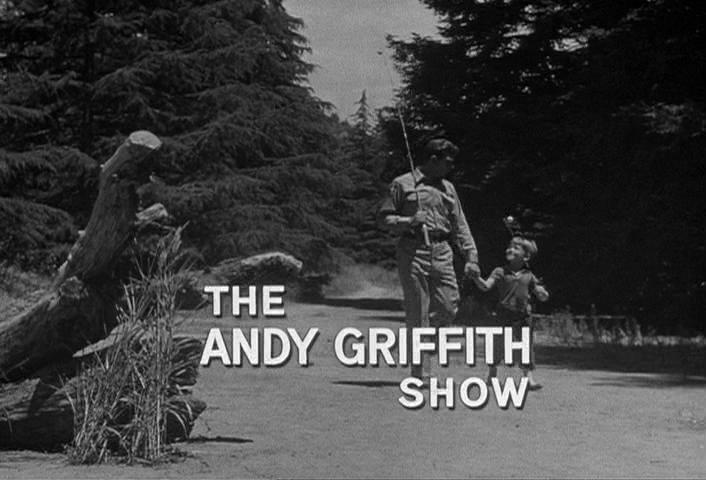 was shot in 1963 and aired on 18 May 1964 as The Andy Griffith Show's final episode of the 1963-1964 season. On Gomer Pyle U.S.M.C. Gomer was a Private First Class in the Marine Corps, originally stationed at Camp Wilson in North Carolina, but later at Camp Henderson in California. Frank Sutton played Gomer's often exasperated drill instructor, Gunnery Sergeant Carter. Sgt. Carter was often frustrated by Gomer's good nature and guilelessness, although at the same time he was extremely protective of him. Ronnie Schell played Gomer's friend Gilbert "Duke" Slater. Originally Duke was a private like Gomer, although he was promoted to corporal later in the show's run. From the 1965-1966 season to the 1967-1968 season, Roy Stuart played Corporal Chuck Boyle. He often served as Sgt. Carter's conscience, often intervening on Gomer's behalf. Gomer Pyle U.S.M.C. proved to be the smash hit of the 1964-1965 season, coming in #3 in the Nielsen ratings for the year and even beating its parent The Andy Griffith Show (which came in at #4). The show continued to be high rated for the rest of its run, consistently ranking in the top ten for every season it was on the air. When Gomer Pyle U.S.M.C. went off the air in the 1968-1969 season it was not due to ratings, but instead because Jim Nabors wanted to move onto other things. With the 1969-1970 season Jim Nabors received his own variety show, The Jim Nabors Show, which also proved to be a hit. Jim Nabors never returned to The Andy Griffith Show or its successor Mayberry R.F.D. as Gomer Pyle, although he did appear in the role in the reunion movie Return to Mayberry, aired in 1986. Arguably the 1964-1965 season was the height of the cycle towards rural comedies. No less than seven rural comedies aired during the season. What is more, four of them ranked in the twenty highest rated shows for the year, two of them in the top five. While it had been seven years since the debut of The Real McCoys and four years since the debut of The Andy Griffith Show, the cycle towards rural comedies showed hardly any sign of ending soon. Today the vast majority of American television shows, whether they are dramas or comedies, take place in urban settings. Indeed, some seasons one can be hard pressed to find shows that are set somewhere other than New York City or Los Angeles, California. This has not always been the case, as the decade of the Sixties saw a cycle towards rural comedies. These were comedies set in either small towns or the country, or whose main characters came from the country. In the decade of the Sixties the genre would become particularly associated with CBS. Not only did CBS have more rural comedies than either NBC or ABC, but they had also had the most successful rural comedies of the decade. Indeed, some of the rural comedies aired by CBS in the Sixties rank among the most successful shows of all time. While CBS became strongly identified with the genre of rural comedies in the Sixties, they were not alone in airing shows in the genre. While they did not have nearly as many as CBS, both NBC and ABC broadcast their own rural comedies during the decade. What is more, while it had by far the most success with the genre, contrary to poplar belief CBS did not start the cycle towards rural comedies in the Sixties. Regardless, the cycle towards rural comedies in the Sixties would prove to be one of the longest and most successful in the history of American television. Starting in the very late Fifties, it lasted into the very late Sixties (very nearly ten years in all) and produced some of the most successful shows of all time. While the words "rural comedy" probably bring to most people's minds television sitcoms of the Sixties, the genre actually has a long history in media other than television. With regards to film, rural comedies date back to the Silent Era. Indeed, the early career of actor Charles Ray saw him playing a succession of country bumpkins. Silent films such as The Cub (1915), the Mack Sennett feature Down on the Farm (1920), and the Buster Keaton vehicle Our Hospitality (1923) all presented comic portraits of rural life. Rural comedies continued to be popular with the advent of talkies, with films such as Wheeler and Woolsey's Kentucky Kernels (1934), Abbot and Costello's Comin' Round the Mountain, The Egg and I (1947) and the "Ma & Pa Kettle" series of films that were spun off from The Egg and I. Rural comedy occurred in other media besides film. In fact, two of the most popular comic strips of the 20th Century utilised rural humour. Li'l Abner made its debut in 1934 and ran until 1977. It was so popular it was spun off into a series of animated cartoons, a Broadway musical, and two feature films (one based on the Broadway musical). Barney Google and Snuffy Smith started in 1919 and centred on the title character Barney Google, but shifted to rural humour after the introduction of hillbilly Snuffy Smith in 1934. Snuffy has remained the star of the comic strip for decades and, even though his name remained in the title, Barney Google would not appear in it for years at a time. 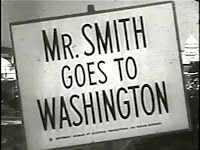 Radio also featured its share of rural comedies. Among the most popular and longest running shows of Old Time Radio was Lum and Abner, which ran from 1931 to 1954. Even with regards to to television rural comedies pre-date the late Fifties when the cycle towards rural comedies began. Prior to 1949 at least two pilots were made for a proposed Lum and Abner television series. In 1951 three episodes of a proposed Lum and Abner television series were made. This series did not sell either and the episodes were later compiled into the film Lum and Abner Abroad (1956). What may have been the first rural comedy on television was an adaptation of The Egg and I. It was a fifteen minute serial that aired on weekdays. It starred Bob Craven and Pat Kirkland in the roles played by Fred MacMurray and Claudette Colbert in the film. Oddly enough, this TV version of The Egg and I included Ma and Pa Kettle (played by Doris Rich and Frank Tweddell), even though the pair were still appearing in the film series at the time. The Egg and I lasted from September 3, 1951 to August 1, 1952. Perhaps fittingly enough given the network's later identification with rural comedies, it aired on CBS. After the demise of The Egg and I rural comedies were absent from American television screens for much of the Fifties. All of this would change in the 1957-1958 season when a comedy about hillbillies would debut that would not only prove to be a hit, but would also mark the beginning of the cycle towards rural shows that predominated the Sixties. The Real McCoys debuted on 3 October 1957 on the American Broadcasting Company. While CBS may have had the most rural comedies and by far the most successful rural comedies, it was then actually ABC that started the cycle. The Real McCoys was created by Irving Pincus, a television writer who had previously written episodes of the early Fifties show The Adventures of Ellery Queen. 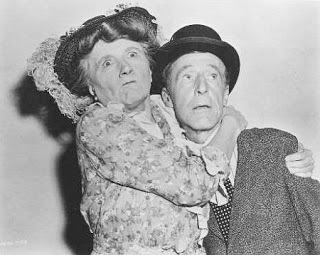 Despite the continued success of the "Ma & Pa Kettle" films at cinemas, Mr. Pincus did not have an easy time selling The Real McCoys. In an article in the 28 December 1958 issue of The Milwaukee Journal, Mr. Pincus said of network executives that "Most of them said it had no audience identification." 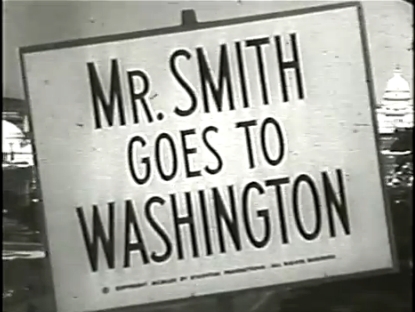 Eventually NBC took a year long option on the show and apparently a pilot was even delivered to the network (according to the 22 December 1956 issue of Billboard). Unfortunately, in the end NBC let their option on the show lapse and did not buy the series. Fortunately, the William Morris Agency took an interest in the prospective show and eventually it was sold to ABC. The Real McCoys centred on the McCoys, a family of hillbillies from fictional Smokey Corners, West Virginia, who moved to California after inheriting a farm there. It starred Walter Brennan as the head of the family, the irascible Grandpa Amos who had difficulty to adjusting to life outside the hills. Richard Crenna (who had just finished up a stint on Our Miss Brooks) played his grandson Luke, who brought his new bride Kate (Kathleen Nolan) with them to California. The family was rounded out by Luke's teenage sister and his eleven year old brother Little Luke (Michael Winkelman). As to why both brothers were named "Luke", it seems their parents were so excited by the birth of Little Luke that they forgot they already had a son named "Luke". The cast was rounded out by the McCoys' farmhand Pepino Garcia (Tony Martinez). While The Real McCoys would be the show that would start the cycle towards rural comedies in the Sixties, in some ways it differed quite a bit from the broader rural comedies that would follow it. In some respects it was closer to such contemporary domestic comedies as Leave It to Beaver or Father Knows Best than it was the later The Beverly Hillbillies or Green Acres. Like the domestic comedies of the era, each episode would see a minor crisis in the family (Kate's mother visits with her fiancé and he runs afoul of Amos; Grandpa Amos takes over raising the children from Kate) that is resolved by the end of the episode. The humour tended to be of the gentler sort seen in many of the era's domestic comedies, not the sometimes outrageous comedy sometimes seen in other rural comedies (The Beverly Hillbillies in particular). The Real McCoys proved the network executives who thought television viewers would not watch shows about rural folk wrong. In its first season it ranked #30 for the year according to the Nielsen ratings. Its second season it became a top ten hit, ranking #8 for the year. For the next few years The Real McCoys remained one of the top rated shows on television, ranking #11 for the 1959-1960 season, #5 for the 1960-1961 season, and #14 for the 1961-1962 season. While the ratings of The Real McCoys proved that television audiences would watch rural comedies, the show may have also had an influence in one other way. 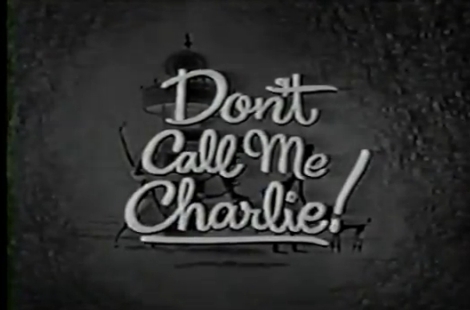 While it may not have been the first show to do so, The Real McCoys was one of the earliest sitcoms to have a theme song that explained the show's premise. This would become a hallmark of many rural and other situation comedies of the Sixties. Unfortunately, such success was not to last. During the fifth season Kathleen Nolan left the show due to a contract dispute. Kate was written out of the show as having died. The show also changed networks. The Real McCoys moved from perennially third rated ABC to CBS. At the time this must have seemed like a very good thing. After all, CBS was the perennially top rated network and had many more affiliates than ABC. Unfortunately, The Real McCoys' fortunes turned sour after its move to CBS. Not only was Kate written out of the series, but the characters of Hassie and Little Luke appeared in only a few episodes during the season. This was explained by Hassie having gone off to college and Little Luke having joined the Army Even with these changes in the cast, it is still possible The Real McCoys could have survived. Sadly, CBS placed the show in what could have been the worst possible time slot on the schedule--opposite Bonanza on NBC (then the 4th rated show on the air) on Sunday nights. Against the juggernaut that was Bonanza the ratings for The Real McCoys plummeted and CBS cancelled the show at the end of the season. While today The Real McCoys is not nearly as well remembered as many of the rural comedies of the Sixties (indeed, some younger viewers may have never heard of it), the show occupies an important place in the history of American television. As its creator Irving Pincus learned while trying to sell the show, prior to The Real McCoys network executives were convinced that American television viewers had no interest in watching rural comedies. The success that The Real McCoys experienced during its run proved network executives wrong, so much so that other rural comedies debuted in its wake: The Andy Griffith Show in 1960, The Beverly Hillbillies in 1962, and yet others. While The Real McCoys may not be as well remembered as some of the other rural comedies today, it paved the way for every rural comedy to come. The Real McCoys may have been the only rural comedy on the air for a time, but it would not be so for long.